Yet this isn’t just about replacing your stacks of files with PDFs—automation aims to make the entire process more streamlined, cost-efficient, accessible and error-proof. Automation is the administrator that knows what every division needs, produces every document as it’s needed and never takes a vacation. Automating business process and doing away with non-value-adding human interventions help a lot in efficient business process management (BPM). One of the primary benefits of the business process automation includes making the business operation faster and easier. It also automates the complex business processes that are mostly involved in running intricate programs, huge projects, and managing resources across the product life-cycle. As a matter of reality, business automation is one of the most inclusive work-flow engines in the industry today and provides the most effective flexibility for organizations irrespective of their size. 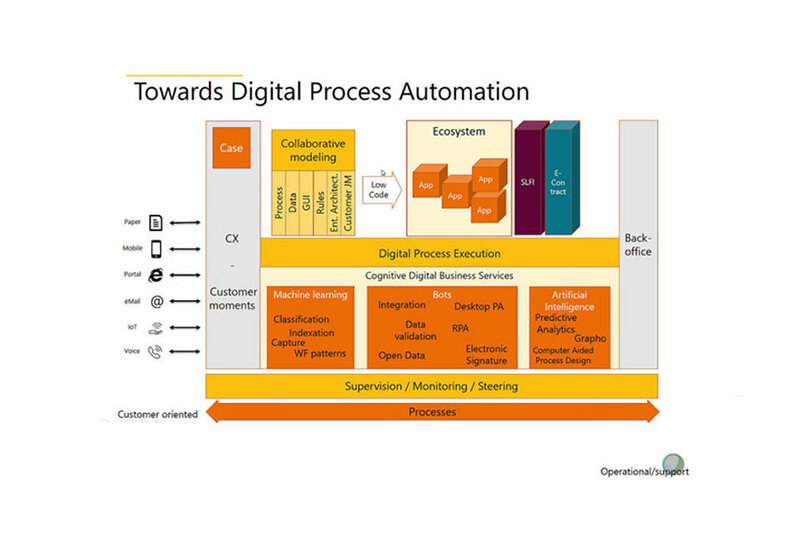 But, you should make note of the point that the business process automation can offer profits to any organization only with the combination of process re-engineering and technology, also in addition to that organizational structure that can support both. 1. Process automation can provide an audit trail—who did what and when—for organizations that are highly regulated or have strict security and control requirements. 2. Organizations using mobile devices, including those with BYOD (Bring your own device)policies, can use automation to accelerate processes by digitizing, capturing, and routing documents from any location at any time. 3. Process automation can push work to employee queues, saving time from having to search (pull item items into the workflow) or wait for them to be processed. 4. Process automation can tie together multiple business systems to eliminate the need for moving back and forth between application interfaces. 5. Automation can improve process visibility by gathering data and presenting it via dashboards to improve planning and decision making.